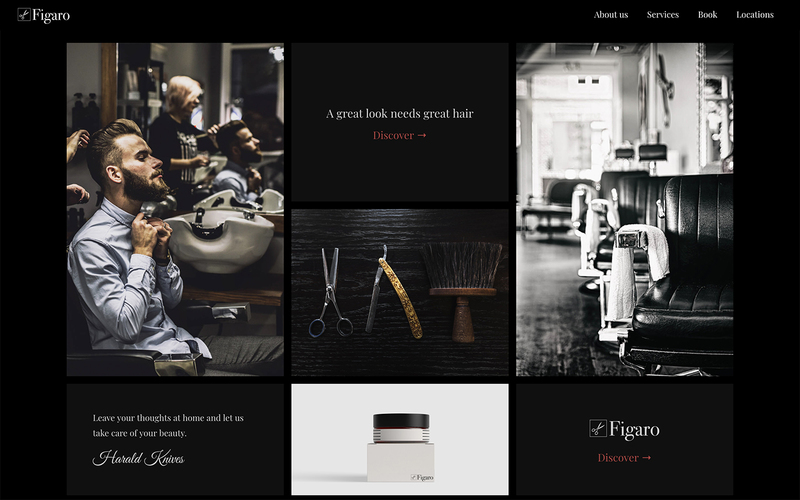 Tailored for beauty and hair salons, Figaro is suitable for any kind of business, be it the modern facilities with attached spas and mud baths or the old school salon with vintage seats and mirrors. 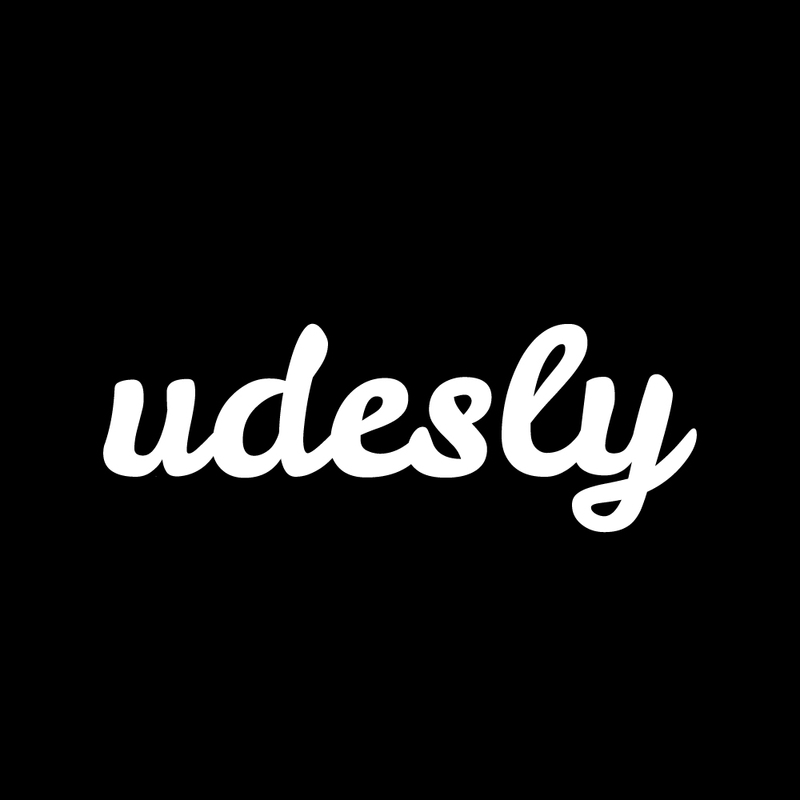 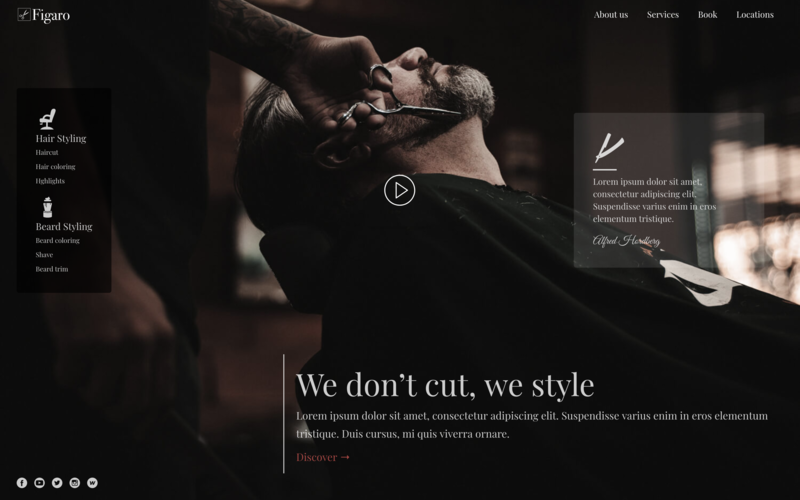 This single-page template uses the new grid layout to give the content a desruptive but harmonious appeal. 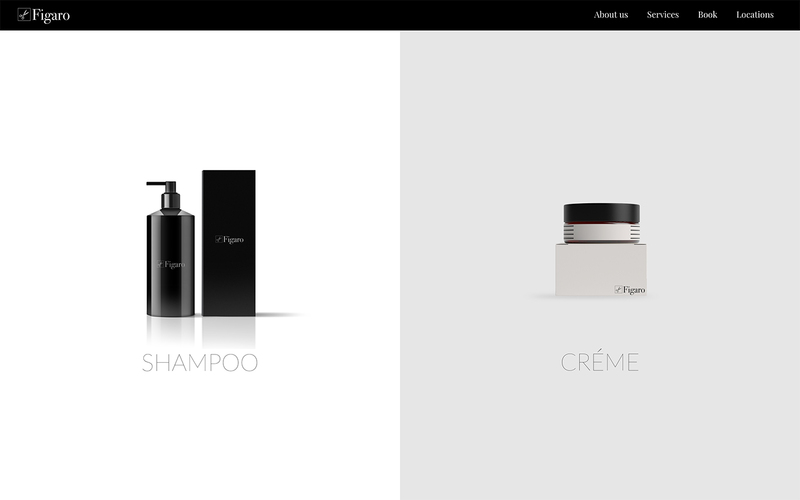 Starting from the nav bar to each single section in the page, you will find beautiful interactions to desveal the content. 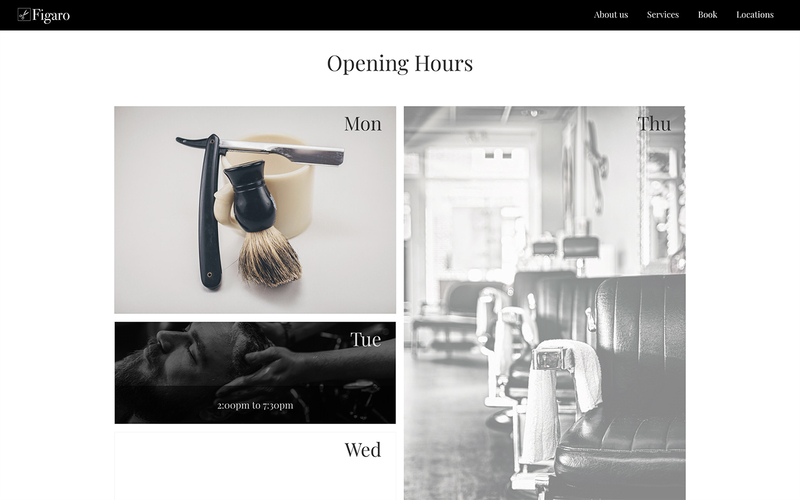 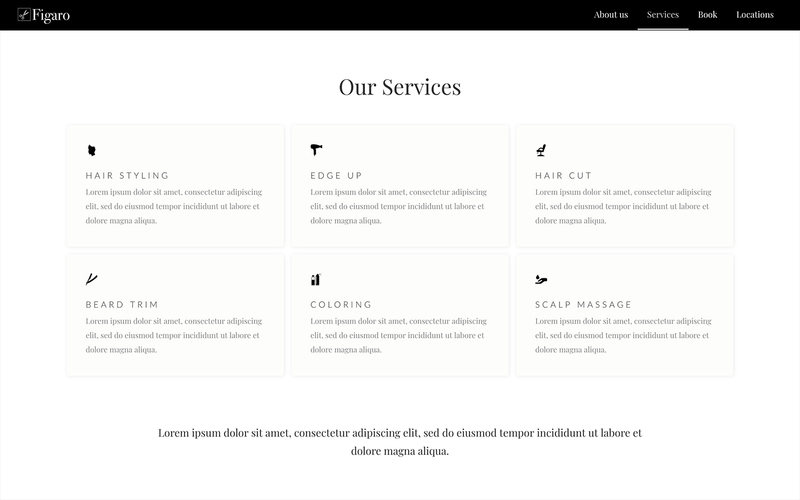 These are some of the sections and elements that you'll find on Figaro Template. 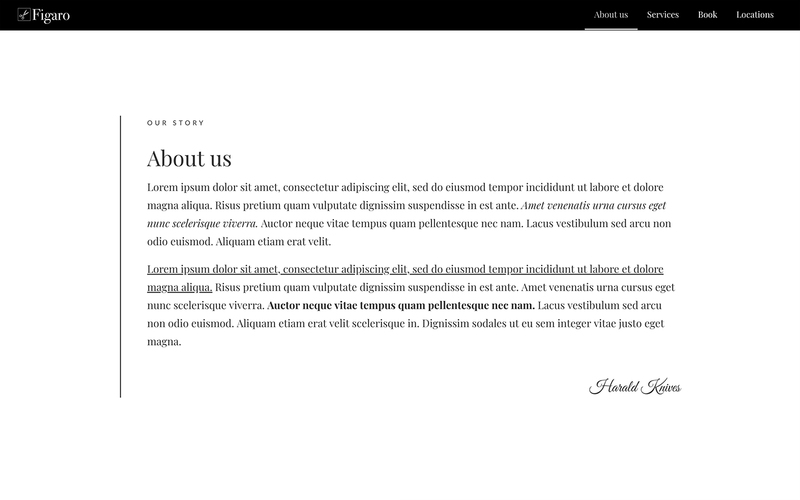 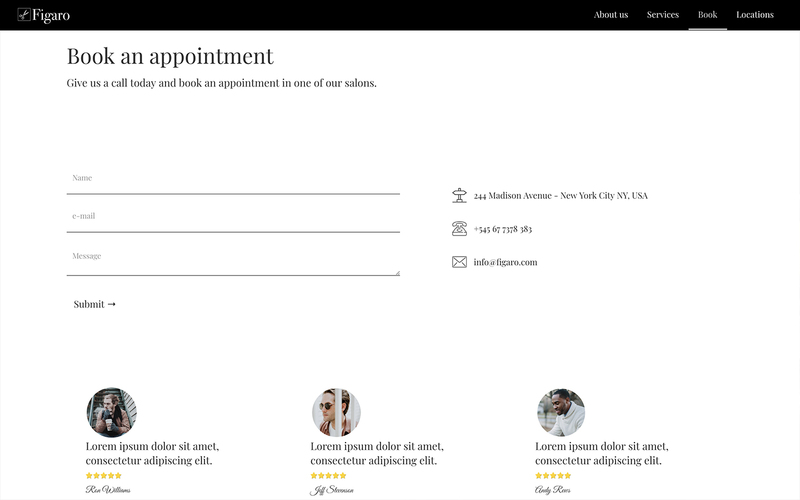 1 Single Page Layout – Figaro comes with a single page layout with unique hero sections that can easily be dropped into any section. 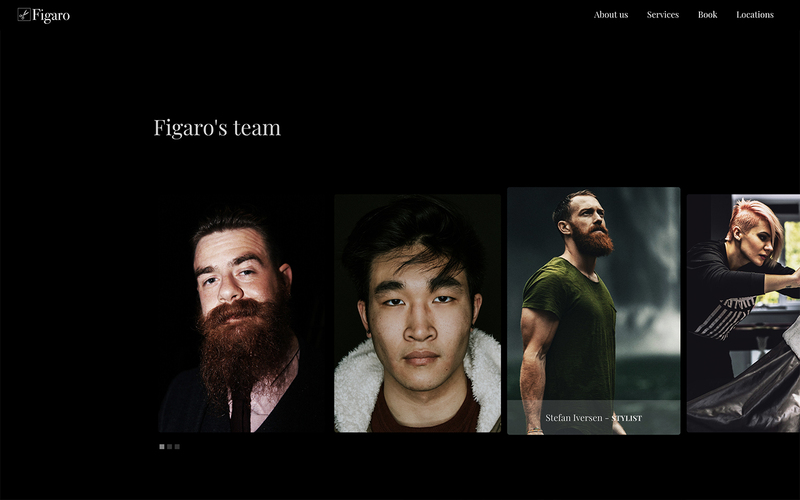 Fully Responsive – Figaro is a fully responsive template and works perfectly on all screen sizes and mobile devices.